Very funny book that I found myself saying, "Yep! That's exactly what I really mean when I say that!" As a mom, it's a hoot to read with your child. My daughter bought it for me bc she also identified with the quotes inside that give the true meanings to the little quips and quotes that moms are famous for. The guilt trips behind the innocent sounding encouragement, the threats behind the suggestions, & the laughs along the way. Another laugh out loud take on parenting. It shared some of the same lines as the dadisms book but that's to be expected.Still funny and enjoyable! This book is hilarious! I kept laughing and nodding my head while reading this. 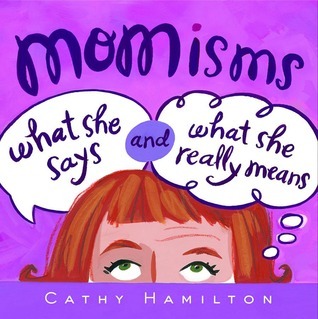 This book is a must read for moms.